2017.11 - Free Kick Official HP！! 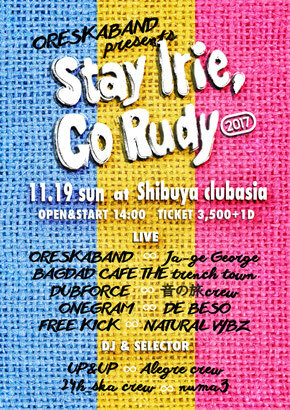 ORESKABAND presents "Stay Irie, Go Rudy 2017"
Kick Up Night Tour 2017 ”ALRIGHT”Releace Tour! !